When it comes to 2017 baseball card releases, Bowman literally saved the best for last. 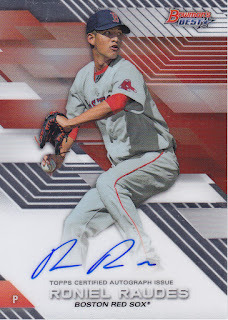 The famed card manufacturer looks to end the year on a high note by closing out the season with 2017 Bowman’s Best Baseball. The base card design drives the desirability of this release, as the rich colorful backgrounds help the player images jump off the cards, making this Bowman’s most visually appealing set of the year. The 100-card base set, which includes 35 Top Prospect cards, will please those searching for an easy path to completion. 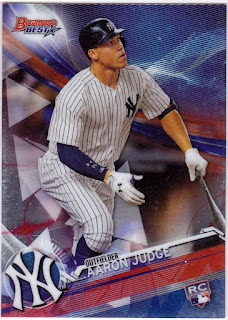 For collectors seeking a greater challenge, Bowman keeps things interesting by favoring its trademark refractor cards. 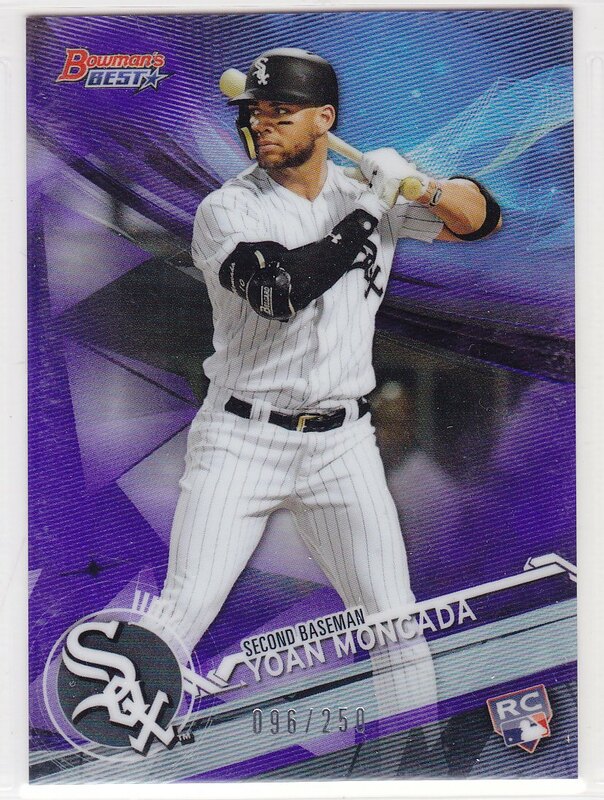 They offer a complete set of base refractors (1 per pack), atomic refractors (1 per master box), as well as numbered colored parallels that vary in scarcity (250 or less). These parallels will further drive collectors 2017 Bowman's Best Baseball just to hunt down "rainbows" of their favorite players. The insert sets are equally attractive and intriguing. 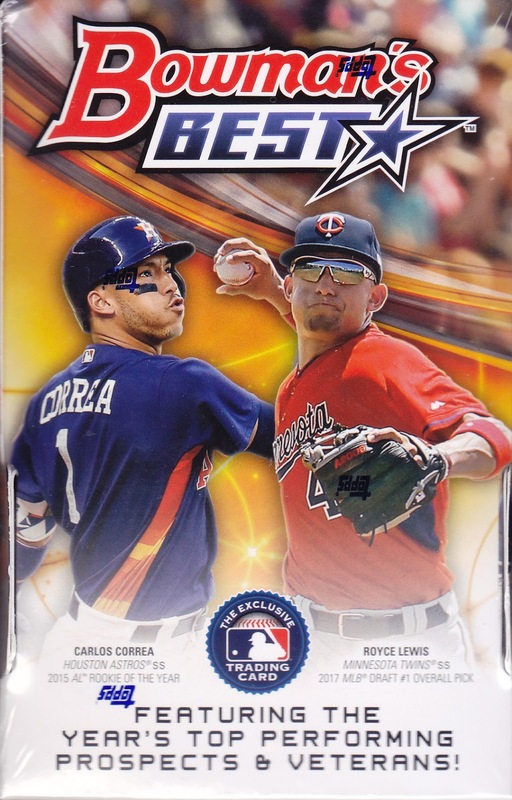 The 1997 Best Cuts insert set pays homage to a classic design, fitting both top-flight minor leaguers as well as retired veterans into the checklist. The Baseball America Dean List’s set gives report card grades to the next wave of prospects, and the Mirror Image inserts pair similar talents on the same card. All of the insert sets have numbered colored parallels, as well as autographed versions (save for the Mirror Image cards). 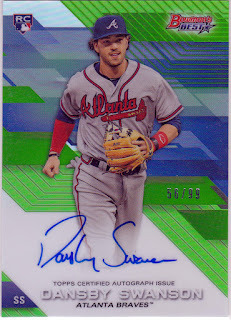 At a price point of $100 per master box, Bowman delivers value by guaranteeing four autographs. The base autograph set includes established young stars Aaron Judge, Cody Bellinger, Kris Bryant, and Mike Trout, as well as upstarts Brendan McKay, Ronald Acuna, and Royce Lewis. For those lucky enough to pull a rarer autograph insert from this set, they could find themselves with one signed by Derek Jeter or Hank Aaron. Closing Bowman’s release calendar for the year, 2017 Bowman’s Best Baseball provides an attractive mixture of design, diversity, and value that will please collectors looking for a place to spend their newly found holiday riches.